Werk, werk, werk. It's all so much better when you're surrounded by pretty things, right? We're knee deep in the summer season right now and as much as we all want to be working outside soaking up those rays, sometimes you just can't compete with the wasps that won't leave you and your lemonade alone, y'know? No? Just me? 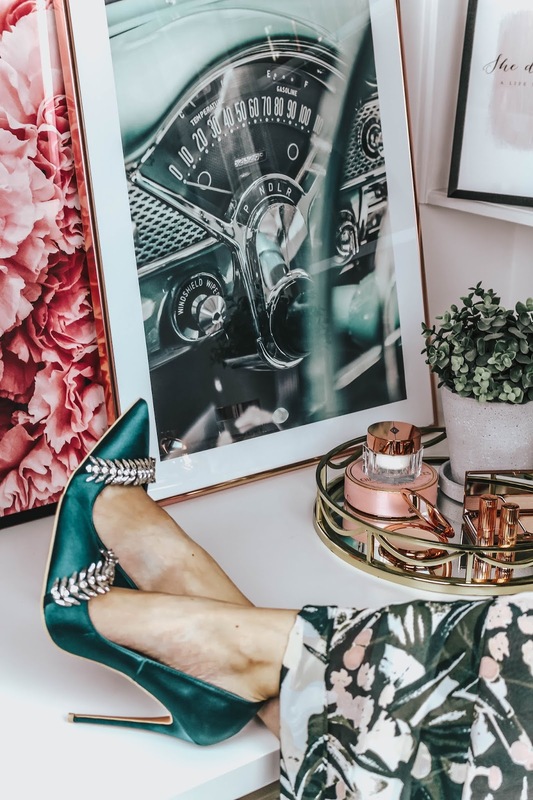 So, we turn to our indoor work space and immediately realise it doesn't look anything like our Pinterest boards of gorgeous home offices filled with metallic stationery. But don't worry, I've got you. 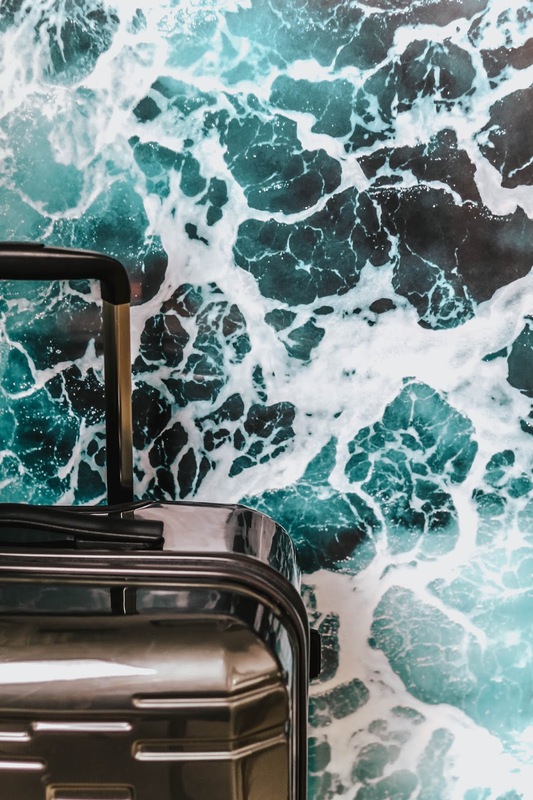 While rejuvenating my own desk, I've come up with a few other ways in which we can all revamp our work areas, regardless of how much space you have to play with. Oh, and a cheeky Desenio discount code can also be found nestled in this post. Enjoy! Surprise, surprise. I'm on about plants again. By now, we're all aware of the beauty and cost effectiveness of artificial plants and flowers, but there's still a lot to be said for caring for and nurturing indoor plants. Besides the obvious benefits of reduced carbon dioxide levels; removal of pollutants from the air by absorbing harmful gases through their leaves and roots, they also look pretty cute. No? Don't worry babe, I usually keep my fave accessories in their dust bags. Phew. But that doesn't include all accessories. 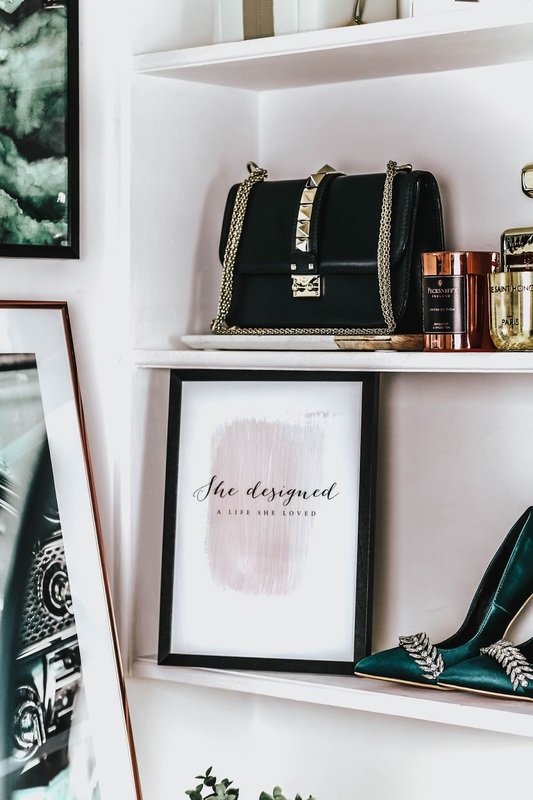 Justify those late night online splurges by displaying them around your workspace. They can work as incentives and reminders of what you're working for/towards. This also applies to beauty products. Any other Charlotte Tilbury obsessives out there who can't bear to store away their stash of rose gold packaging? Last but not least, storage! A strangely exciting concept as we get older, right? Just... don't cave and bulk buy transparent boxes. They're like the carrots of the roast dinner. The crocs of the fashion world. The beige full coverage briefs of the lingerie world. Nope, nope and nope. Search around and find box files, letter trays and more in prints that make you (kind of) love filing. I've recently picked up a couple of hat boxes to use for storage; quirky but they do the job! Have fun with it! I absolutely adore my new desk space. It's incredible how little tweaks here and there can feel so motivating and inspiring! I hope my suggestions above have helped to give you an idea of how you can hit the refresh button on your own work space. Have any of these prints caught your eye? When was the last time you revamped your home office/work space? Let me know in the comments below! Thanks to Desenio for working with me on this post! Are you available for hire? I get the urge to be productive just by looking at these pictures! 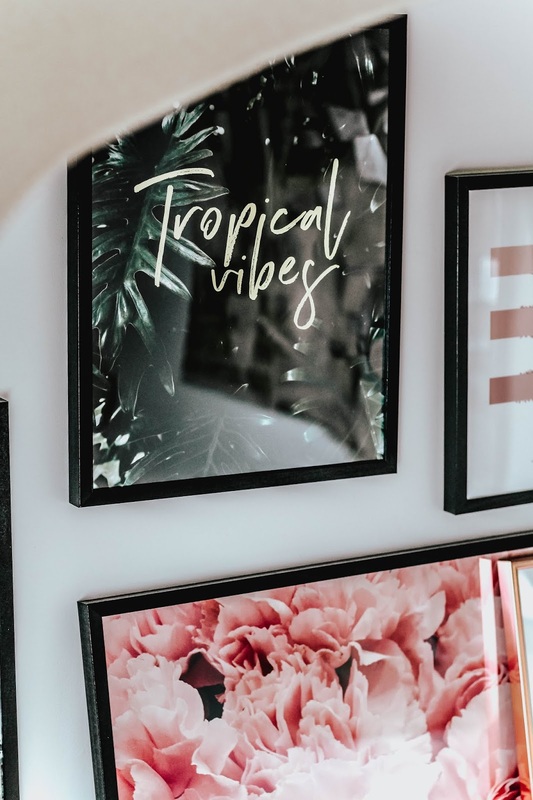 I definitely think prints are a great and not too difficult way to change up the style of a work space and the entire vibe. I like to change up the prints around me depending on my moods! I absolutely adore the prints you've chosen, your space looks so inviting, I think I'd actually LIKE working there haha! Soooooo beautiful! Love this decoration!! I am instantly opting for indoor plants and pots. i always wanted to,but don't know what kept me. thanks for the reminder! This decoration is so beautifuuul!! I literally want one of each of these, Gabrielle! That floral print is so vibrant and gorgeous. I adore these photos, you are showing them off so beautifully! They are beautiful prints! I love your office space too, I'd really like a space like that. I just have a laptop for blogging, as our study was changed into one of the boys rooms, haha! Would be so good to put some of your tips into practice if I get a home office one day! Hope you are having a nice start to your week! It's so cold here, we had the coldest day in 4 years recently! 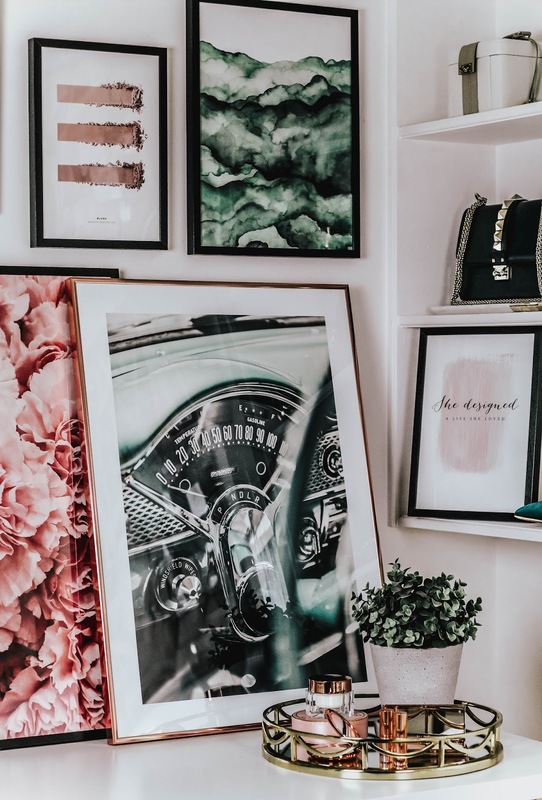 I'm in the middle of redecorating at the moment, this post is giving me major inspo! Peonies always catch my attention and your round mirror accessory holder is a gem on its own. Reworking your office space can give you all sorts amazing creativity! Love this new space and your pictures! It's amazing what a difference wall art can make to a room. Your office space looks really neat and cosy! Such a beautiful pictures and gorgeous details! Thanks for sharing! Have a nice day! How many beautiful prints you have! These prints are so fab!! I love all of them. Wow, I'm loving how you decorated this space! The prints are absolutely amazing! Being surrounded by beautiful things in your workspace is certainly a great way to motivate and inspire oneself. Those prints are absolutely gorgeous and so is the way you decorated the entire space Gabrielle! Oh your space is truly inspiring! And those prints are gorgeous so fun and graphical. And nice to see this side of your llife. How chic is your workspace!!!! The artwork really adds to the room and they really pop! Love love love!! 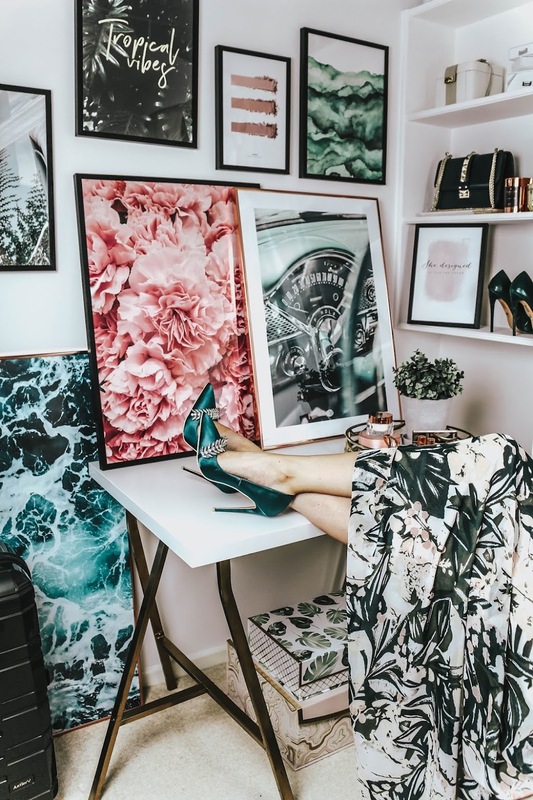 These prints are just gorgeous & I love your work space! Indoor plants are fabulous - I have specifically bought plants that are known to take specific toxins out of the air after our renovation plus as you said, they look beautiful as well! These prints are just fabulous. I really love your work space. I would love to learn some tips from this article. I love indoor plants and I'm planning to bring some plants for it. I love the foamy sea print, and the beautiful pink flowers too! I'm so lazy with buying prints and getting them framed, and unfortunately I'm renting the place I live in in Canada so we can't exactly install hooks on the walls, but whenever I end up back in the place I own in Sydney I'm so excited to get some beautiful prints to decorate the walls with! Omg your home office is gorgeous! I can totally see a correlation between the decor, your won style and the the whole blog's imaginary. The wall art you picked is beautiful, and you actually got there one of my top favorite quotes ever which is "She designed a life she loved". 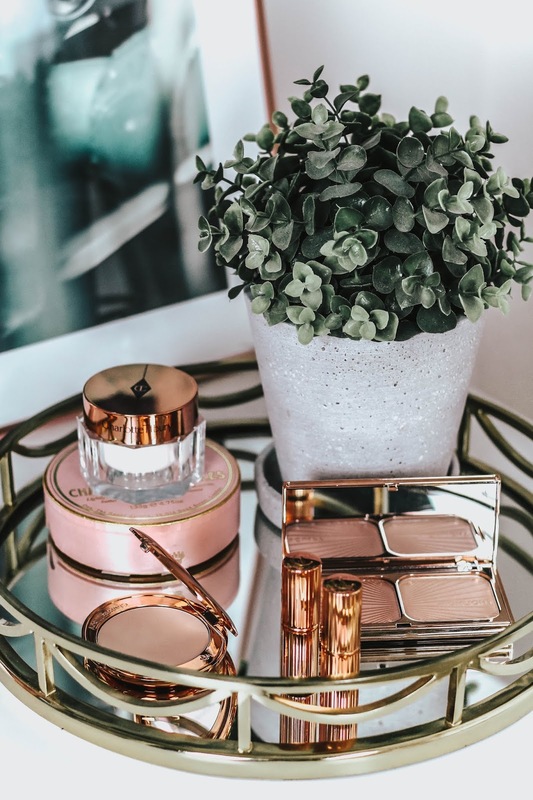 Displaying makeup in an elegant way is also a great idea! I just love the gorgeous colours you've gone with and the abundance of prints - such a 'wow' space! Every detail is just beautiful. Great taste, Gabrielle! Your room is so darling! When can I move in?! I love all the prints. I only have a couple of photos on my wall framed of graduating university (I went through a crazy punk rock phase where everything was on the walls) but I like the idea of being able to switch out pictures. I also LOVE your shoes/ how your purse is arranged. I would love to see my handbags like that. It's CRAZY how your workspace affects your productivity! 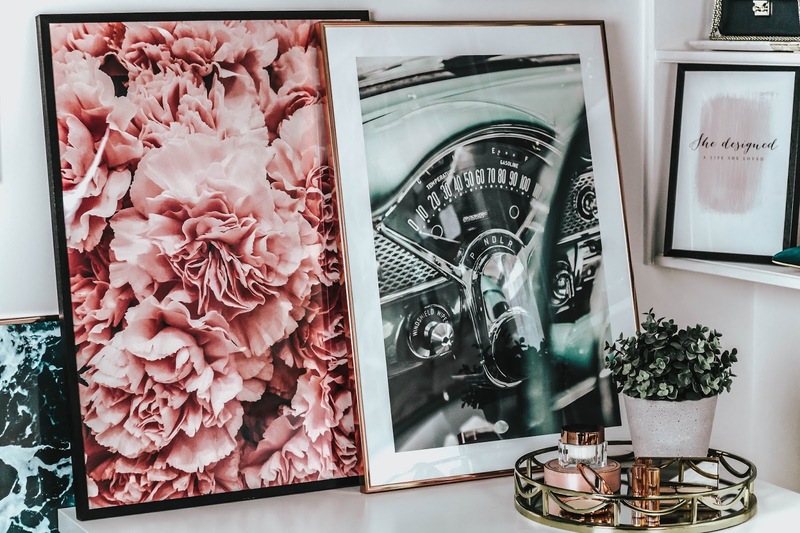 I am so in love with these prints and need you to come re-design our workspace asap! 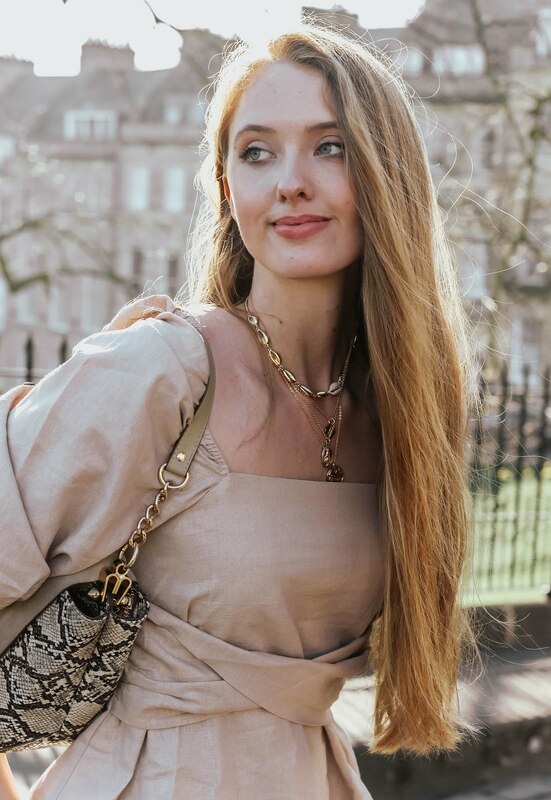 You seriously have the most incredibly eye for unique and gorgeous pieces that fit together perfectly. Feeling very inspired to re-do my whole life now :). This is no good, especially since school is about to start and my classroom is always needing a re-vamp! Bye bye money! All of these are beautiful. I am honestly obsessed with all of them. 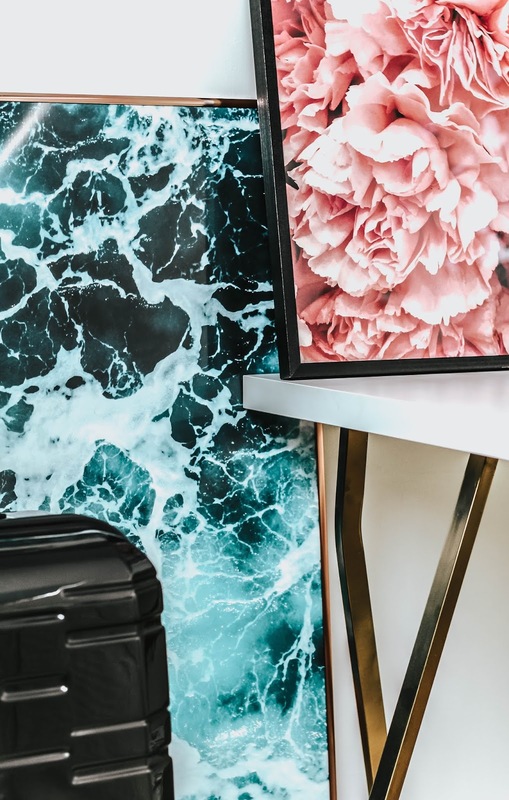 I could look at that sea print all day and it really does add a unique and artsy vibe to your office. And how cute is that rose gold frame? I would feel inspired all the time if it was my office. I really need to get myself some of these for my room! This is the chicest space i've seen. I love the arts and how you designed it. you're absolutely right! 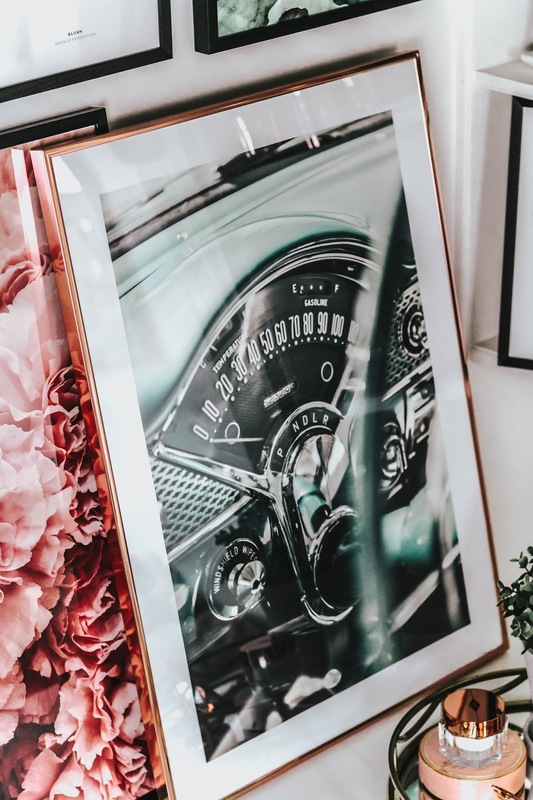 Art and/or photography prints are an amazing way to revamp an office space. I love the ones you showed here. Gorgeous gold frames as well. Cute storage is very important as well. Your work space looks fabulous!!!!!!!!! My work room is filled with waaay to many things, I need to clear it up. At the moment, I usually work from kitchen. I need to fix that and organize my work space! I'm so obsessed with your office room right now. The photos are so amazing. It's been a while now since I want to order on Desenio I love all of their artwork. And I should definitely organize my office. 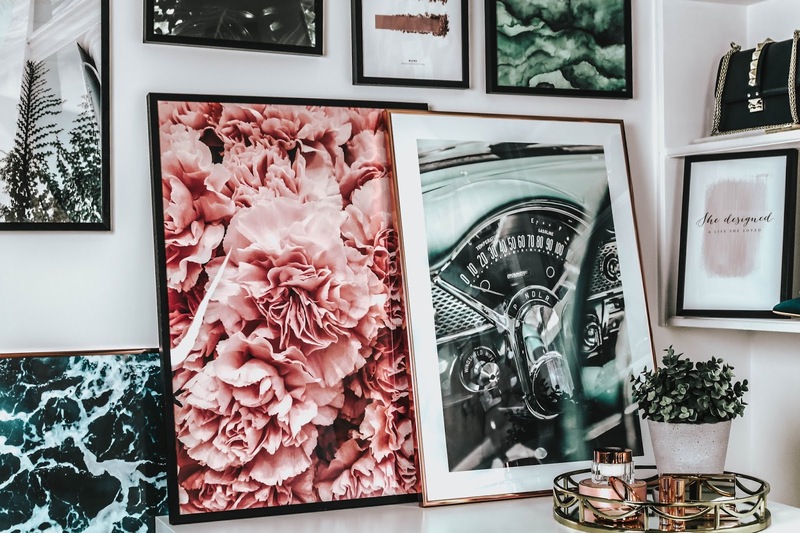 I love all of these prints so much, they definitely inject personality into a room. 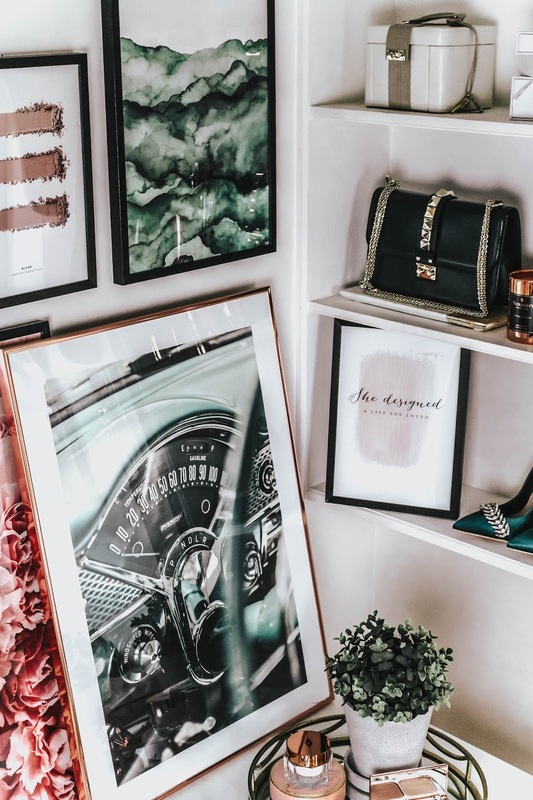 I've tried pinning up frames in my rooms before but I've never really liked the look of one up on my walls - now I realise Ive been doing it all wrong! But what a luxurious office you have. I love everything. Even the shoes are stunning. I Wish a space with all that decoration art !! Amazing photos and posts, I have a small space so I keep adding decorations and plants to change something. Lovely art pieces dear, colors and patterns really makes a huge difference. Still loving this feature - it's absolutely beautiful and I love how patterns and colours can just change up a space with very little effort! Loving all the photos and hope you're having a fab start to the week!